« What’s New on Old Cape Cod? 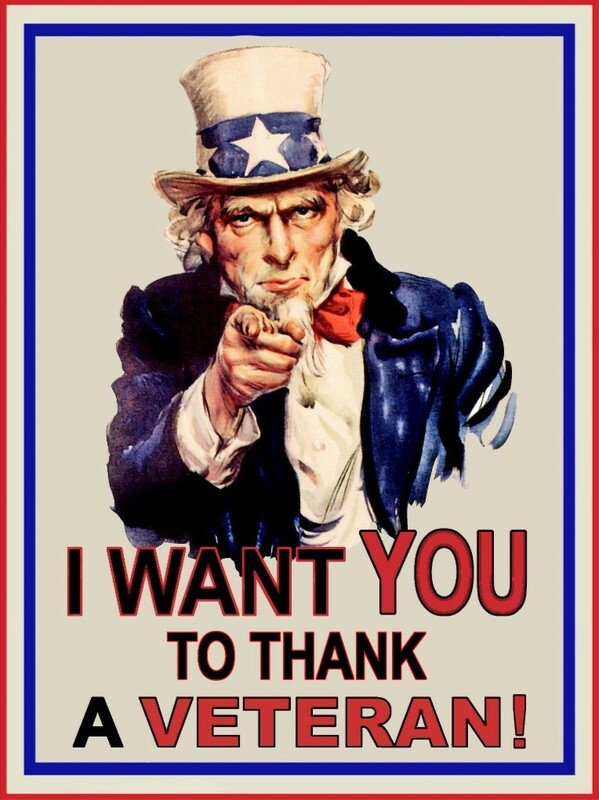 B&Bs for Vets 2016-We Want You! B&Bs across the country have been invited to participate in the B&Bs for Vets 2016 program. This year we are hoping that the B&Bs who participate will soar. The more that sign-up the more successful the program will be and…more veterans can participate in the program. That’s what it’s all about so…We Want You! Marti Mayne of ‘Maynely Marketing’ is on the B&Bs for Vets committee (and has been for years). She is eager to get the word out to the media but we need numbers! The media is more apt to pick up a story that communicates to the public that bed and breakfasts across the country have united together as a group to honor our veterans. As I am writing this blog just over 50 B&Bs have signed up. It is early and more will sign up. Hope you are one of them. B&Bs for Vets 2016 is coordinated and organized by the Association of Independent Hospitality Professionals (AIHP). There is ‘strength in numbers’, in an association and in a program like B&Bs for Vets. It is the only way to reach goals and be successful. You are independent innkeepers! Each of your Inns and you as innkeepers are unique and different. That is part of your strength. But just think of the impact we can have on the public as united independent innkeepers. Sign up, even if you have already filled your designated room nights. It is the only way we can show our strength and commitment to the program. 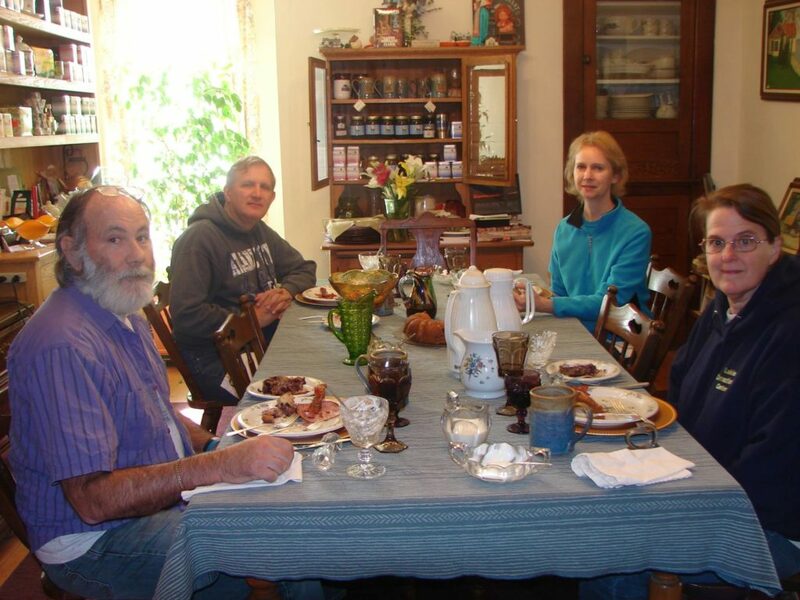 Gillum House B&B WV- Vets enjoying breakfast. This is where it all began. 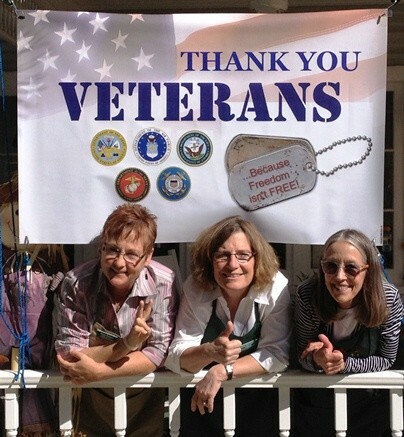 The B&Bs for Vets program was created seven years ago in West Virginia to honor our veterans on Veterans Day. By giving what innkeepers do best, providing outstanding hospitality (and breakfasts of course) to our veterans for one free night. Our way of saying ‘thank you’. Multiply that one free night by 900 or 9,000. Now that is what I call ‘strength in numbers’! And PR worthy. For those Harry Potter fans, I will end with this quote. This entry was posted on Thursday, August 11th, 2016 at 8:44 pm	and is filed under Innkeeping Business. You can follow any responses to this entry through the RSS 2.0 feed. Both comments and pings are currently closed. My husband and I are both US Air Force Vets, although we served short terms in the early 1960’s and are not RETIRED. However, we are planning an extensive trip throughout the west in 2017 and wondered if we could get information on B&B’s in areas where we might be staying along the way. Our trip begins in Taylorsville KY and we will travel down through Mississippi to Kilgore TX, making a stop there. Then on to San Antonio TX and over to Los Angeles CA area and up the coast of California to Eugene Oregon. We also plan to stay a few days in Colorado Springs CO, specifically to be there the third week in June 2017. I wonder if you could provide any places that might fit in our route and if we might qualify for some kind of discount? Thank you for your help! Thanks for you comment and we appreciate your service! As to any discounts for military, first responders, etc………..do not know as this is up to each individual Innkeeper. Please do look for inns that are members of the Association of Independent Hospitality Professionals (AIHP) http://www.independetn-innkeeping.org. Proud Founding Member of AIHP. Join us!